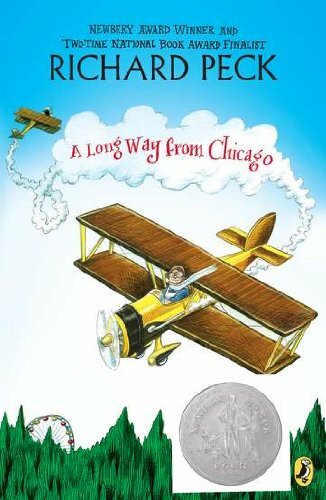 What happens when Joey and his sister, Mary Alice -- two city slickers from Chicago -- make their annual summer visits to Grandma Dowdel's seemingly sleepy Illinois town? August 1929: They see their first corpse, and he isn't resting easy. August 1930: The Cowgill boys terrorize the town, and Grandma fights back. August 1931: Joey and Mary Alice help Grandma trespass, poach, catch the sheriff in his underwear, and feed the hungry -- all in one day. And there's more, as Joey and Mary Alice make seven summer trips to Grandma's -- each one funnier than the year before -- in self-contained chapters that readers can enjoy as short stories or take together for a rollicking good novel. In the tradition of American humorists from Mark Twain to Flannery O'Connor, popular author Richard Peck has created a memorable world filled with characters who, like Grandma herself, are larger than life and twice as entertaining. 3/21/2010 Lizzie Ross said: So funny, and the grandmother is unforgetable. 3/17/2008 Siri Feeney said: Grandma Dowdell is my hero. I want to be like her when I grow up. 5/1/2007 Abby Joy said: Excellent YA book. Fully of great history, humor and emotion.